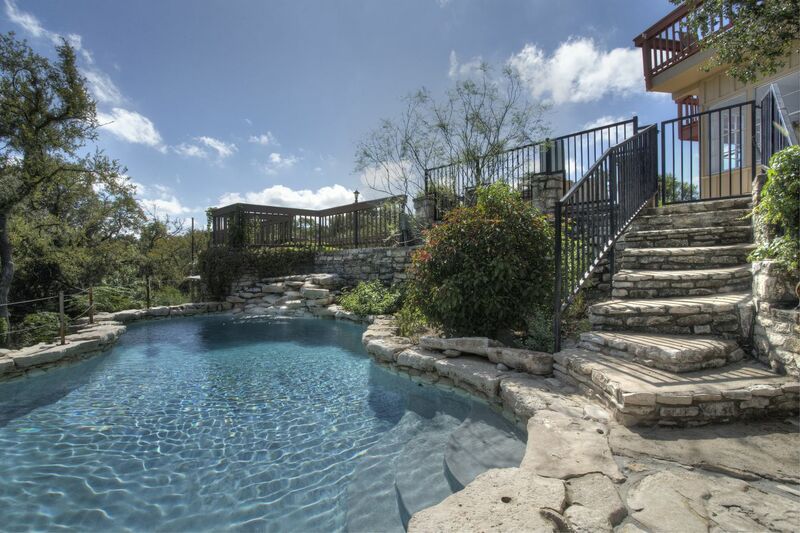 Arrive at this spectacular property and you will immediately recognize its seclusion while enjoying access to high-end amenities at your fingertips. 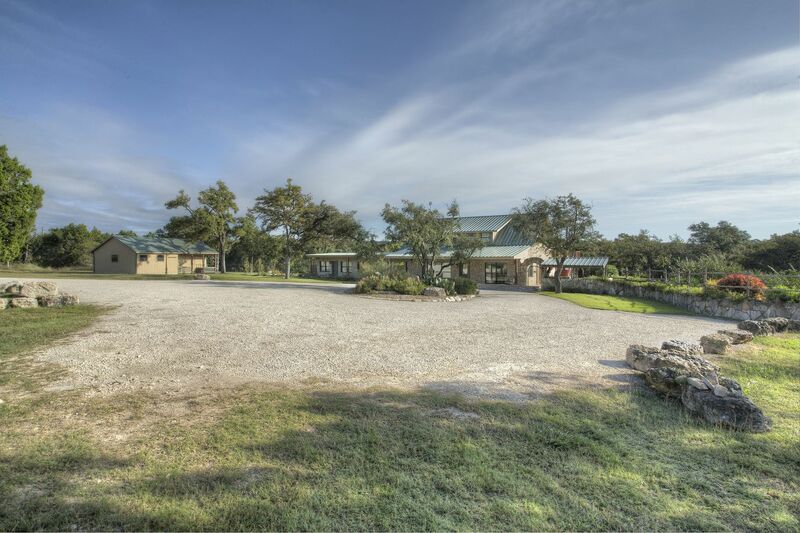 The 10+ acre estate offers ample indoor and outdoor seating and gathering areas for large groups. 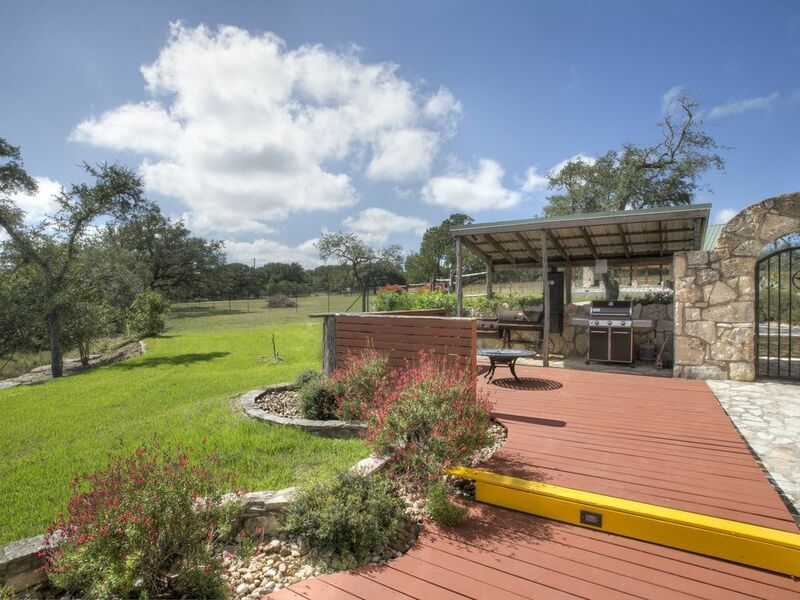 There is a BBQ and outdoor kitchen, fire pit, three separate decks/patios, a beautiful swimming pool, relaxing jacuzzi and a mini-vineyard to meander. 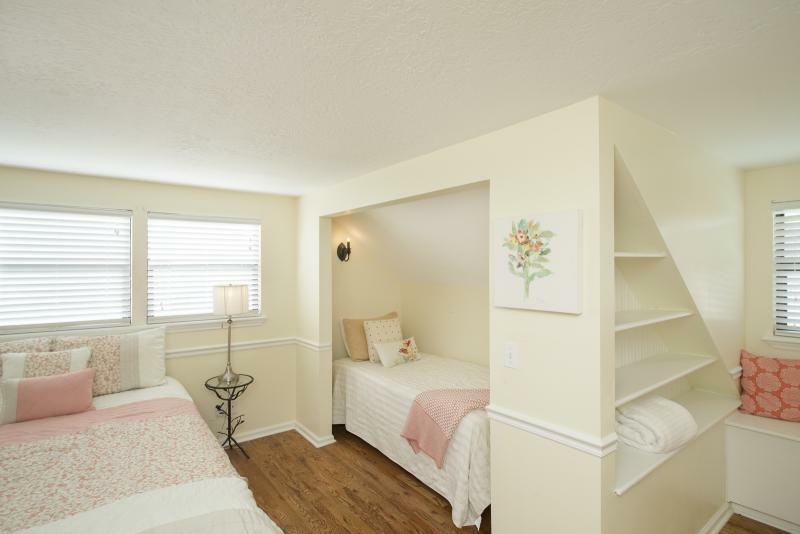 The bedrooms all have their own own bathroom. 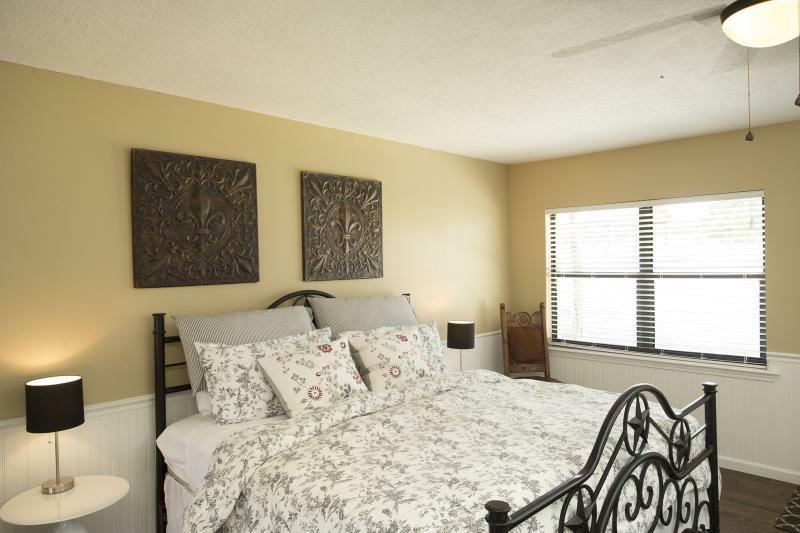 Each bedroom either has a Queen or King-size bed and also has a twin-size or pull out sofa bed for more sleeping options. 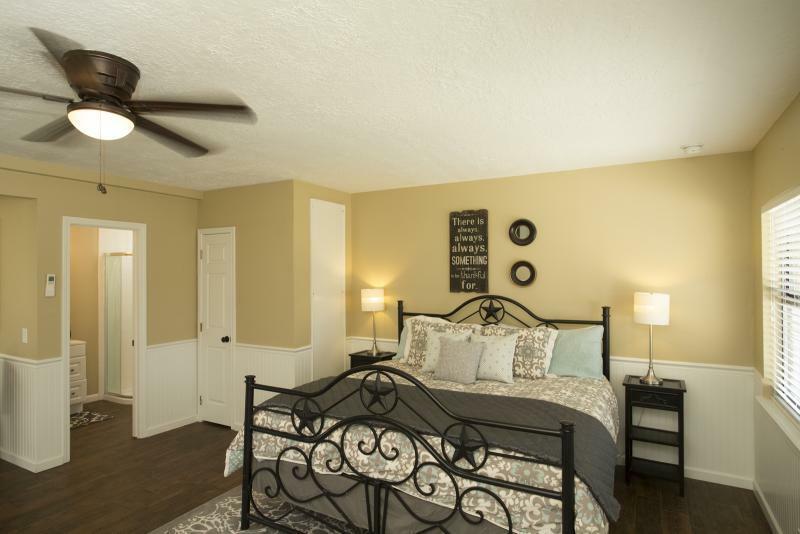 Four out of five bedrooms have direct access to a patio or deck! 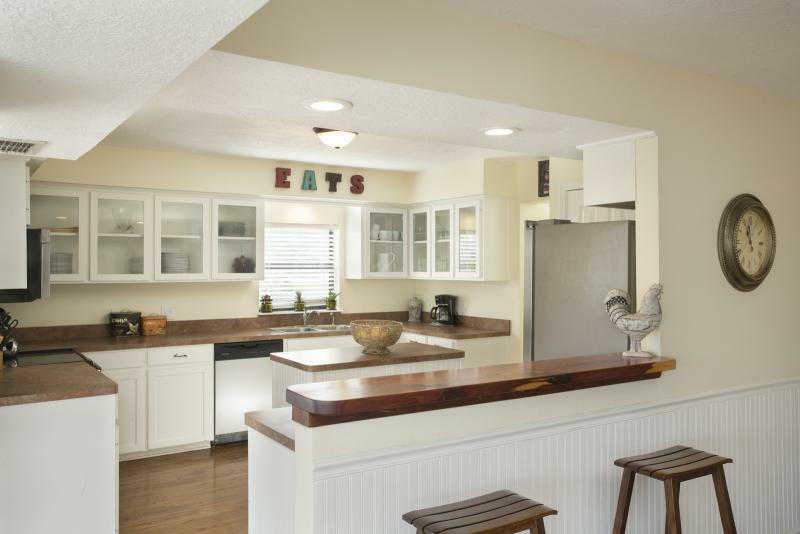 The kitchen has all you'll need for putting together a feast or bringing in a chef for the day. 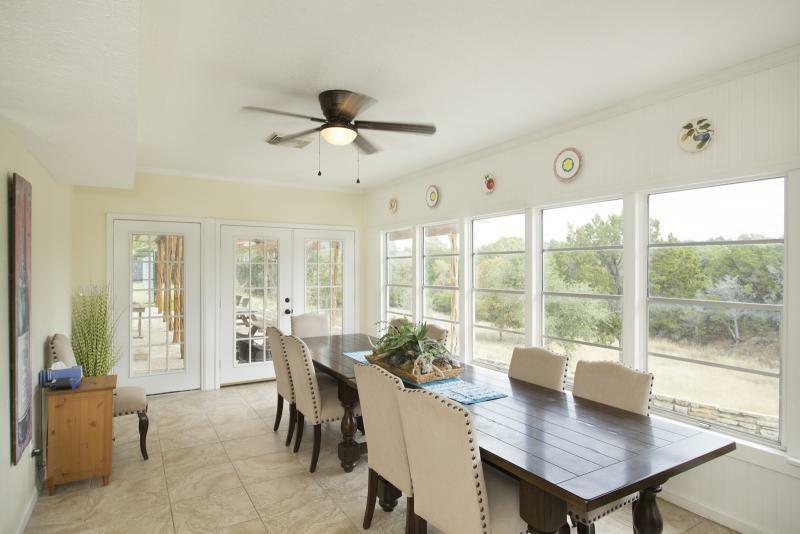 There is a kitchen island, breakfast bar seating area, large dining room and a separate more casual dining space off of the kitchen. 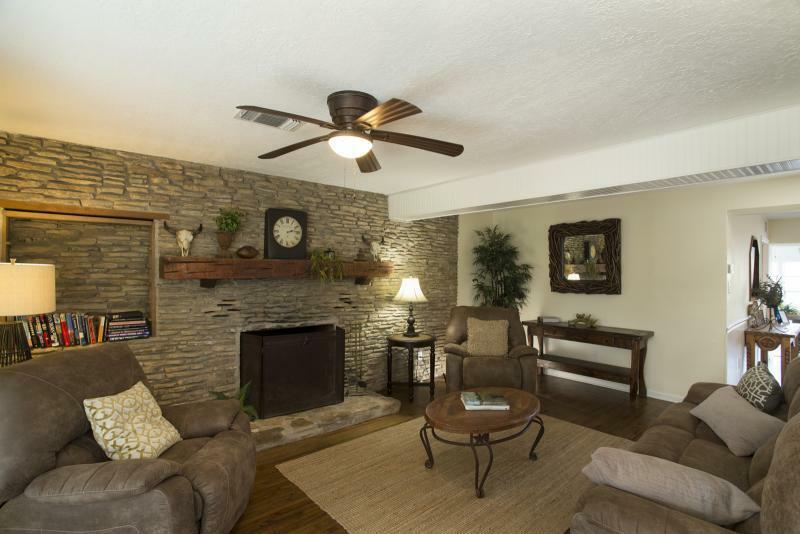 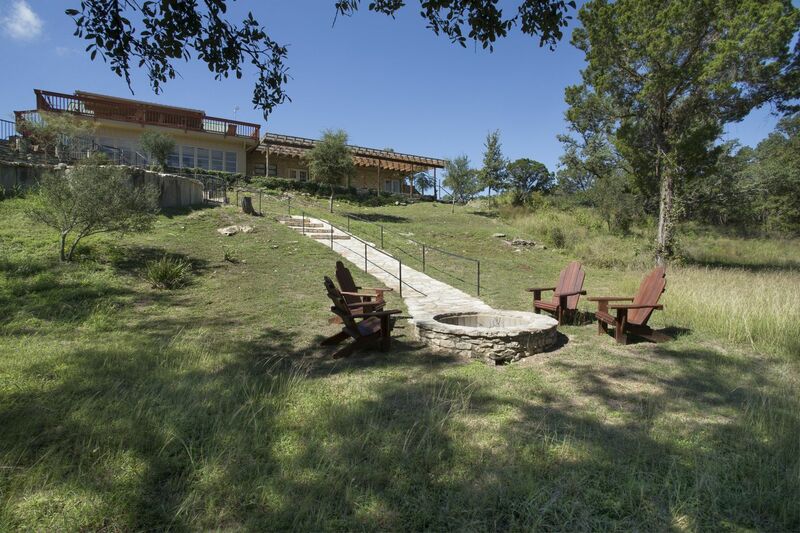 There are two living rooms and a fireplace for those cool winter nights in the hill country. 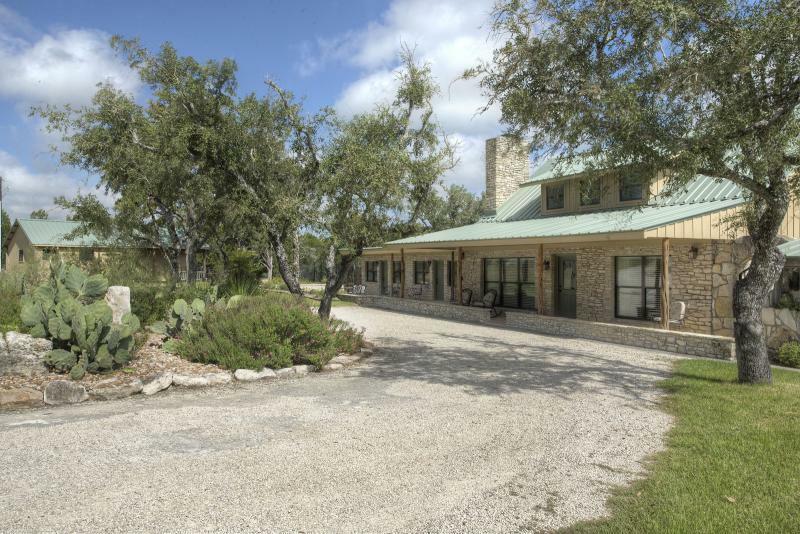 This five-bedroom estate allows your group to feel like a true part of wine country in an upscale setting just five minutes from the Wimberley town square, wineries, swimming holes, and more. 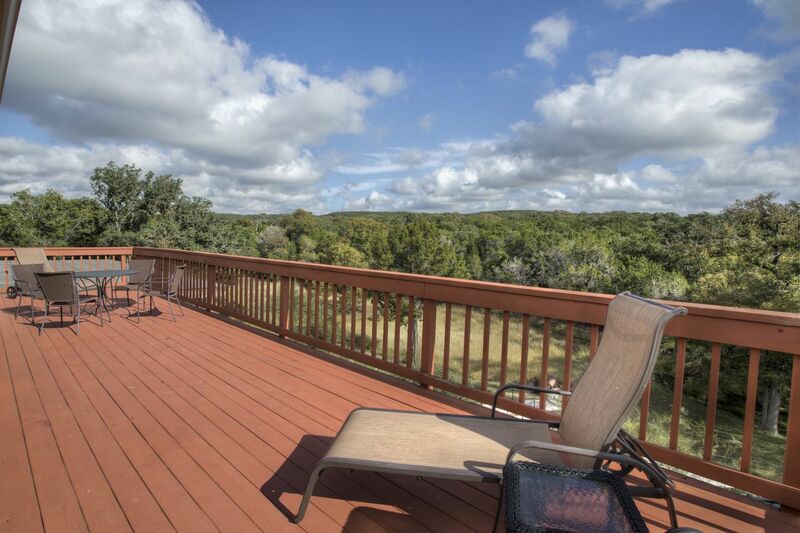 Fire pit, multiple decks, spacious kitchen - plenty of room for gathering! 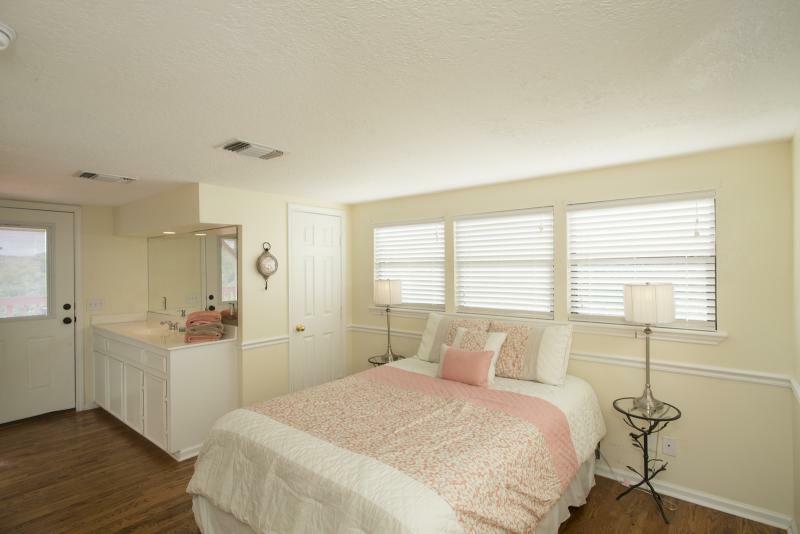 We absolutely LOVED our stay! 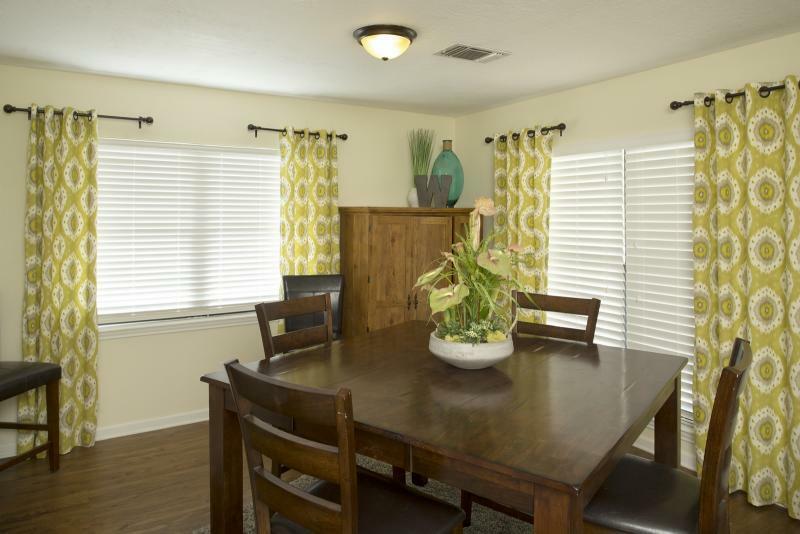 The home was decorated beautifully and so clean. 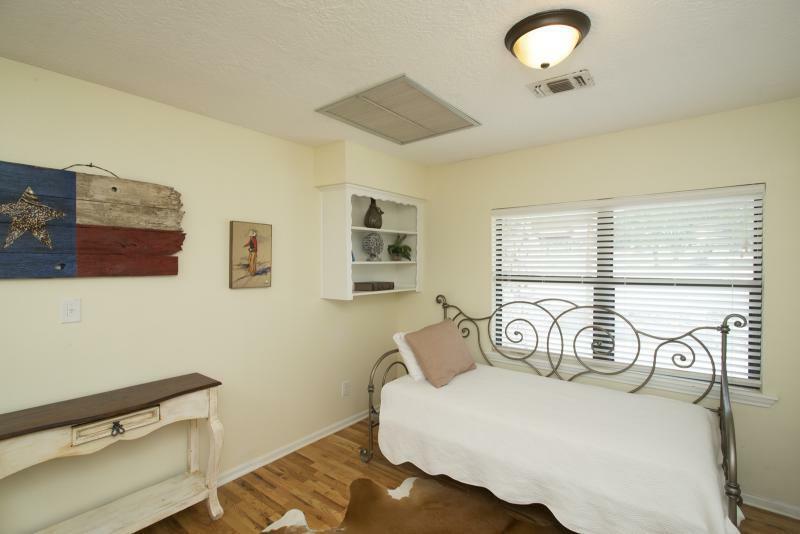 Great amenities for any size group - including very comfortable beds. 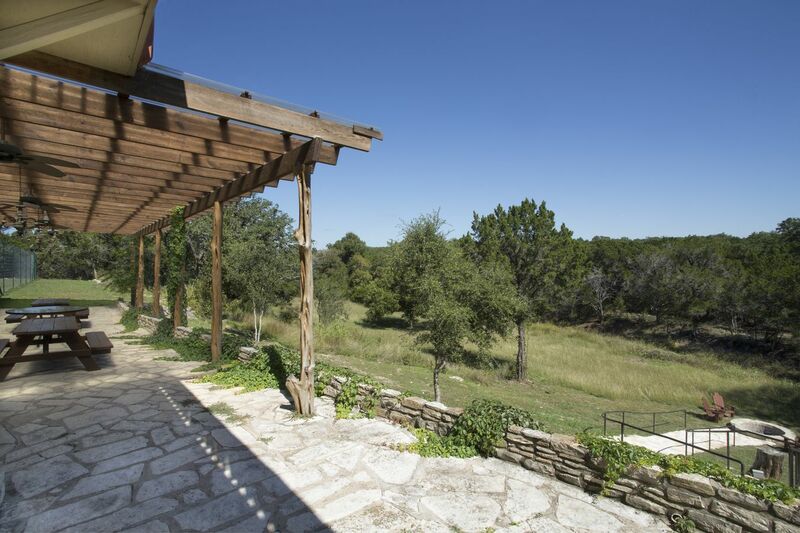 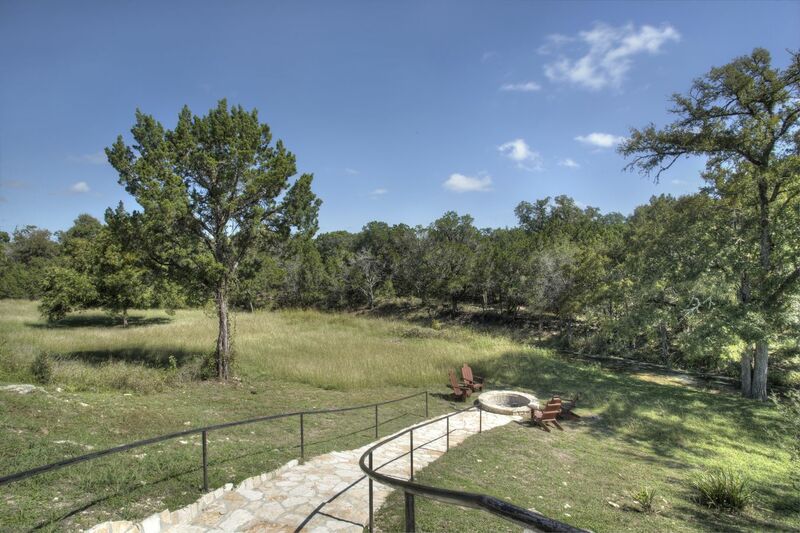 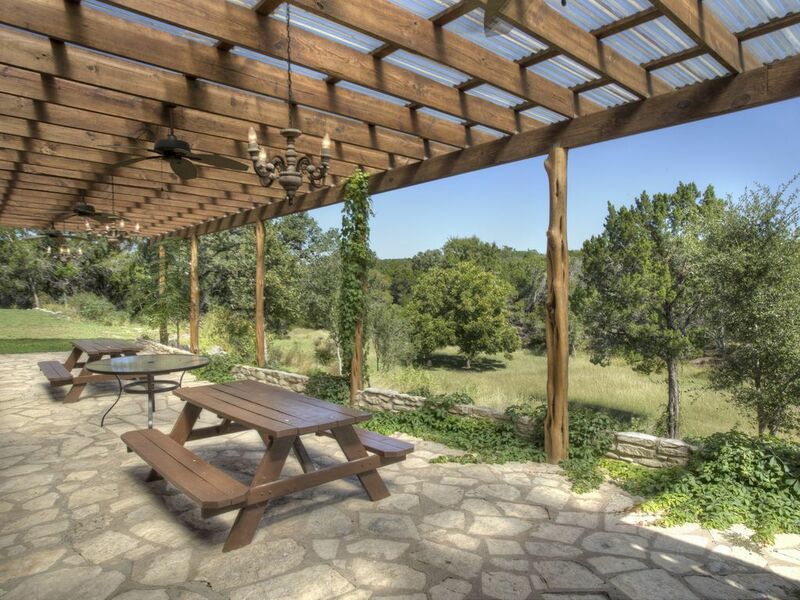 The outdoor decks overlook beautiful landscape and the pool/hot tub/fire pit make for the perfect hill country escape. 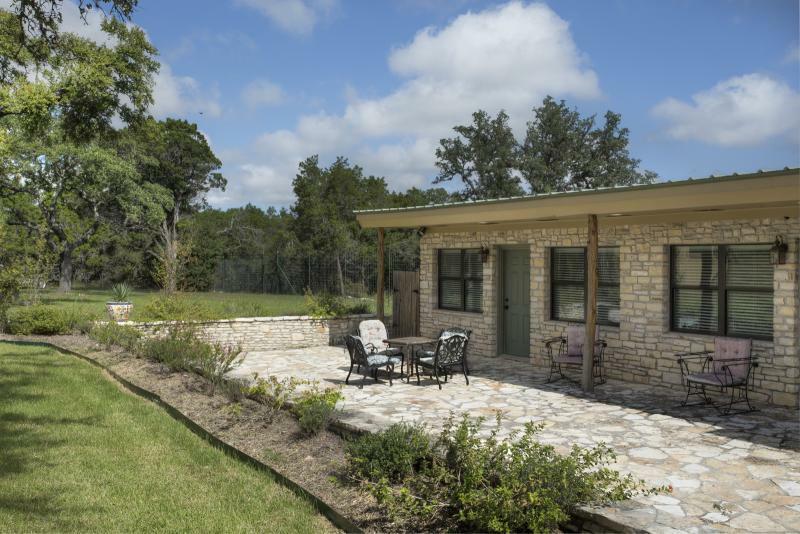 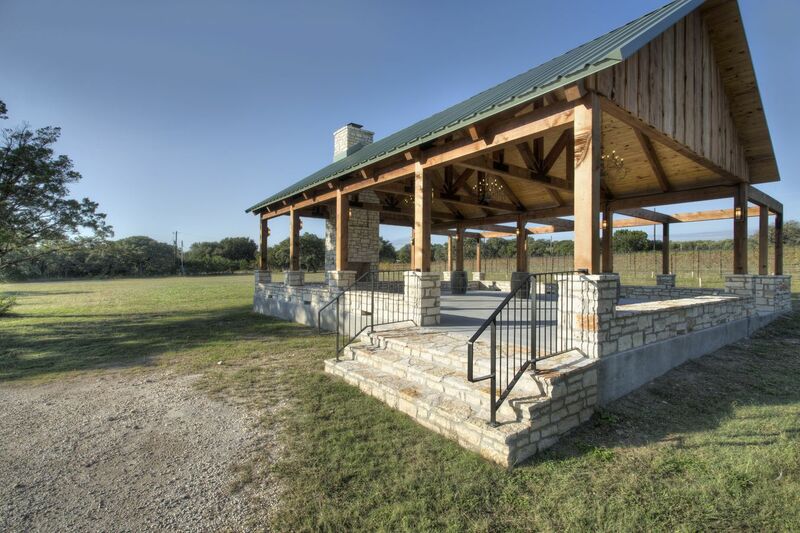 The location is also perfect to easily take in a few wineries, The Salt Lick, and downtown Wimberley. 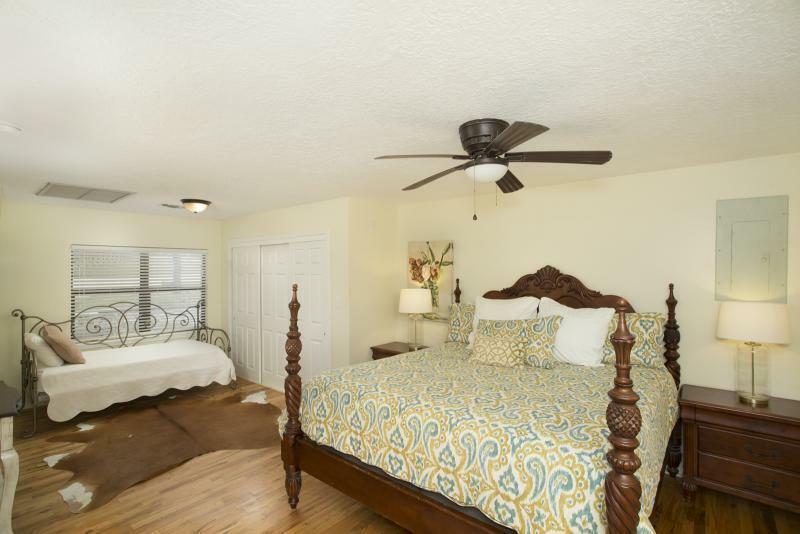 We could not have been happier with this property. 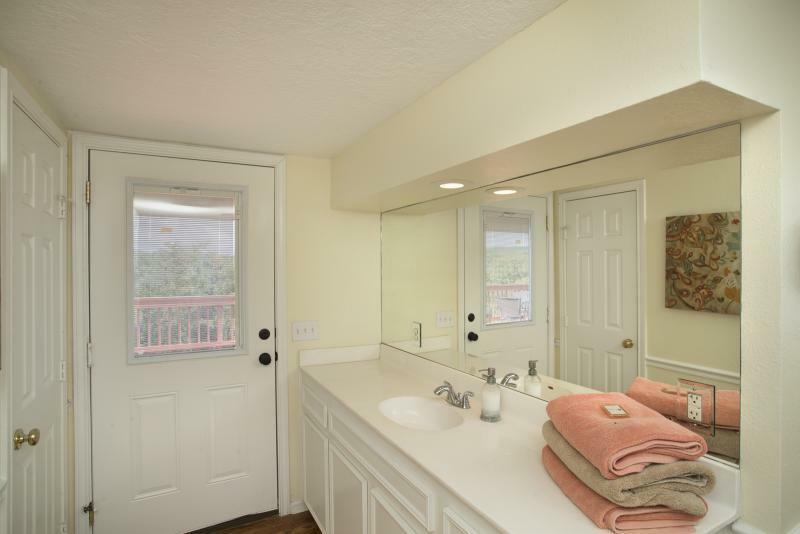 We used every bit of it. 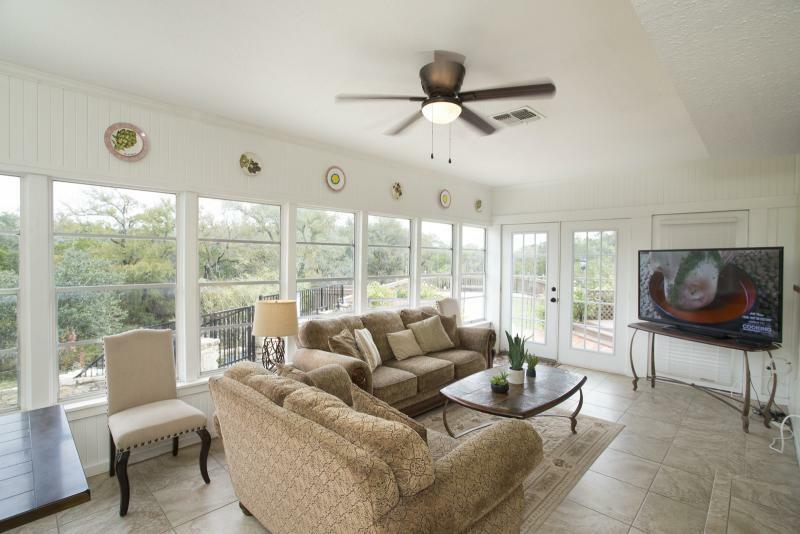 Dining room, living room, swimming, Jacuzzi, coffee on the upper deck, lower patio and front porch. 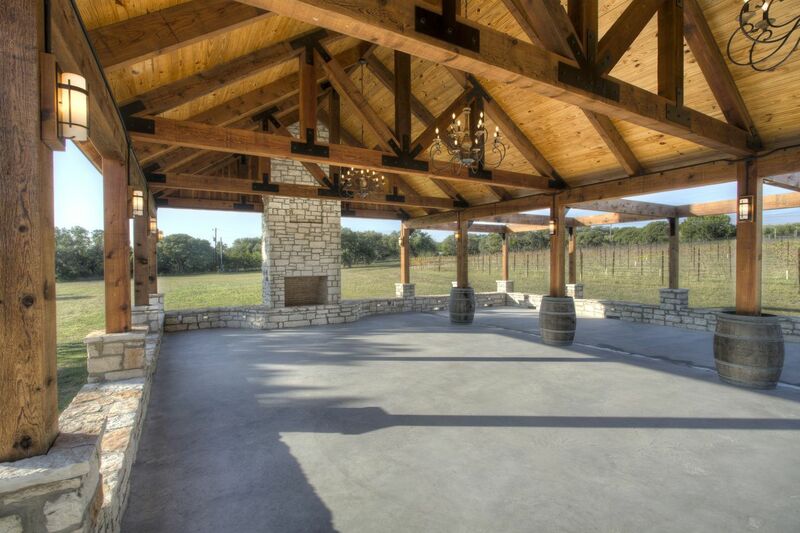 Walking in the vineyard, cooking on the grill and playing games on the long table.